In Bangkok on Wednesday, 24 February, Lucica Diutu, Chair of the Stop TB Partnership, and Rajesh Gupta, Senior Director at the Otsuka, jointly announced the launch of a Worldwide Access Plan for delamanid with the Stop TB Partnership’s Global Drug Facility (GDF). 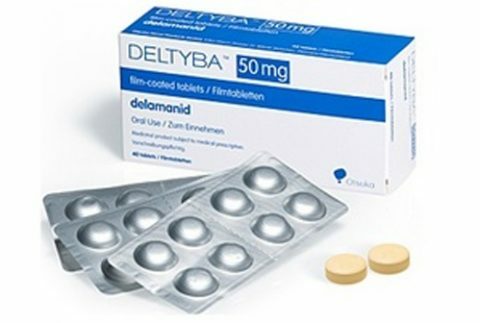 Delamanid, developed and manufactured by Otsuka, is one of the two new drugs approved to treat multidrug-resistant tuberculosis (MDR-TB). This new drug will be available to over 100 countries through the GDF for a price of US$ 1700 per patient. KNCV welcomes the availability of delamanid through this mechanism, which means that patients will have better treatment options than before. Currently only 50% of MDR-TB patients can be treated successfully. The access to delamanid means an important step in improvement of MDR-TB patients’ treatment options, for the first time now also including children, for whom the company has brought a dispersible tablet on the market. KNCV Tuberculosis Foundation is supporting countries to provide access to and utilization of delamanid, as well as to bedaquiline: the other new drug for MDR-TB treatment, available through GDF since April 2015.